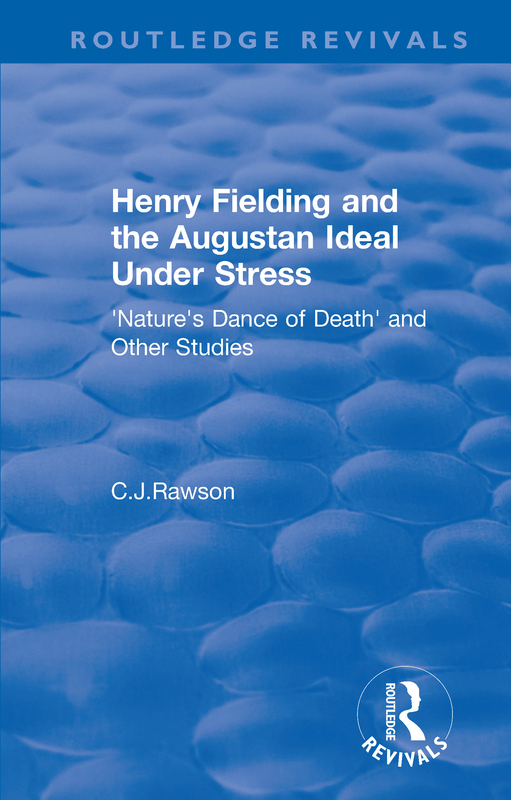 Originally published in 1972, Henry Fielding and the Augustan Ideal Under Stress, focuses upon the various disruptive forces in the literary culture of the Augustan period – upon ‘Nature’s Dance of Death’. His discussion centres on aspects of Fielding’s writing in relation to Augustan culture and civilization. He also relates the works of such Augustans as Pope, Swift and Smollett, as well as some twentieth century writings, to his overall theme. He treats, among other topics the crises in stylistic ‘urbanity’ and in the ‘mock-heroic’ styles of this historically and artistically fascinating period.